When you ready to have your confidential documents shredded we are ready to help you. We offer next day service to the residents and businesses in the Harvard MA area Monday to Friday. We offer both onetime and ongoing document destruction so we have the service for any need. Just give us a call. Give us a call and you will be able to speak to one of our experienced staff right away. We will help you choose the right service fo you and give you a fair quote at the same time. You can also set up your appointment on the same call for any day you want Monday to Friday. With our mobile shredding service, you can conveniently destroy documentation where ever you desire. Our fleet of paper-destruction trucks is ready to come to your home. Office or any place you store your confidential files and destroy them there for you. Best of all, you can watch! Operated by uniformed professionals, our mobile trucks come with viewing screens so you can witness the process in real time. One-time Shredding – Whether your business just downsized or a file purge has left you with an overload of unneeded paperwork, sometimes a one-time shred is all you need. Our on-demand purge service is your solution. Simply give us a call, schedule your appointment, and enjoy a sense of security. Scheduled Shredding – In any business, one piece of paper can contain enough information to destroy you if it isn’t disposed of properly. To make sure all documents are being discarded in a compliant manner you need scheduled service. We’ll place locked containers in your location so your staff has a secure place to dispose of all papers. Our team will arrive to empty the containers on a regular schedule and shred the contents. Choose a schedule that can be daily to monthly on anything in between. Are you sure you’re really getting rid of your trash when the garbage trucks take it away? Identity thieves are happy to dig through your bags to find confidential information that you assumed was safely disposed of. Why not have A1 DATASHRED take care of it instead? When you use our residential shredding service, you’ll have the certainty of knowing your privacy is protected with an advanced paper destruction truck that lets you see your personal papers being destroyed. Your computer or external hard drive contains a history, and the delete button doesn’t remove it for good. If you want to throw out an old laptop, don’t rely on bulk trash. Rely on on-site hard drive destruction. We’ll come to your location to physically destroy any trace of information that lives in your device. We understand your safety and security are always at risk. That’s why we rigorously protect your privacy. Your confidential papers and hard drives are destroyed by consummate professionals who sign a confidentiality agreement and undergo annual background checks and drug tests. Because when you demand privacy, you deserve professionalism.  Only the best shredding companies carry the distinction of AAA certification, and A1 DATASHRED has it. We are recognized by the National Association of Information Destruction (NAID) for upholding the highest standards when handling personal information. Our staff is trained to stay current with every security protocol to ensure your confidential documentation is never seen or replicated. When you work with paper, you understand the value of the environment. That’s why A1 DATASHRED protects it as carefully as we protect your privacy. We avoid wasteful practices, loading landfills. Instead, you’ll find an eco-friendly fleet, and 17 trees saved every time we shred one ton of paper. Because it’s our planet, too. If you’re in Harvard MA, call for a consultation or appointment today, and start shredding tomorrow.